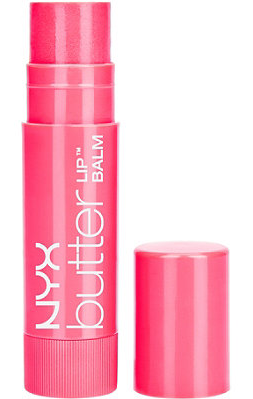 If you have yet to try NYX Cosmetics’ Butter Lip Balm, you are missing out. No, really. I have had a tube of NYX Butter Balm in Parfait (a pretty rosy pink color) sitting on my vanity for a while now. Today, I decided to try it… And it is fantastic! The formula is so smooth and dreamy creamy. It applies easily just like a tube of Chapstick, but with a beautiful flush of color and a delicious scent. The color is moderately sheer, and can easily be layered for more dramatic color. Butter Lip Balm is easy no-makeup makeup. Each time I apply, the burst of berry color and the yummy smell just makes me happy. These beautiful NYX balms come in a rainbow of colors. I would love to hear which colors you have tried and love. Parfait is my current pick, but I am anxious to try some of the others, as well. These balms are perfect for an on-the-go dash of beauty for Spring and Summer. You can check them out here. Here’s to a beautiful Spring and Summer! Crafty Girls, Can You Relate? I got the orangish one in my ipsy bag awhile ago, and I didn’t love it.. probably because it was orange, so now I am not sure If i want to purchase or not! Orange doesn’t appeal to me, either. I would stick with the pinks and nudes.